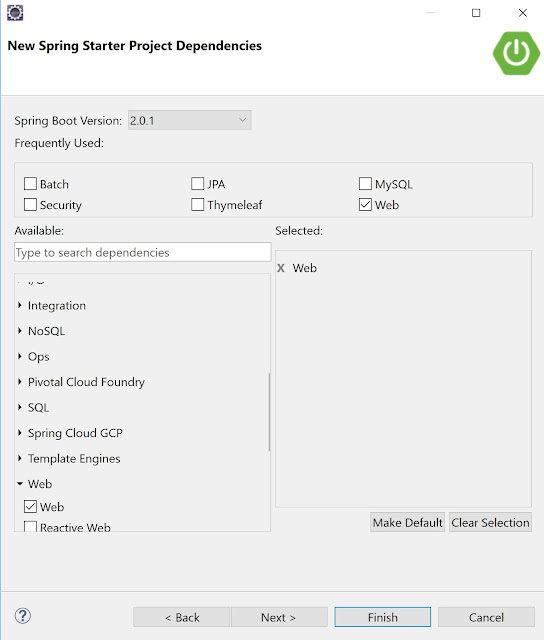 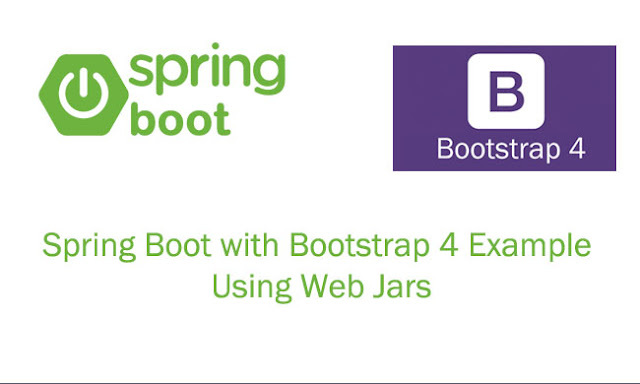 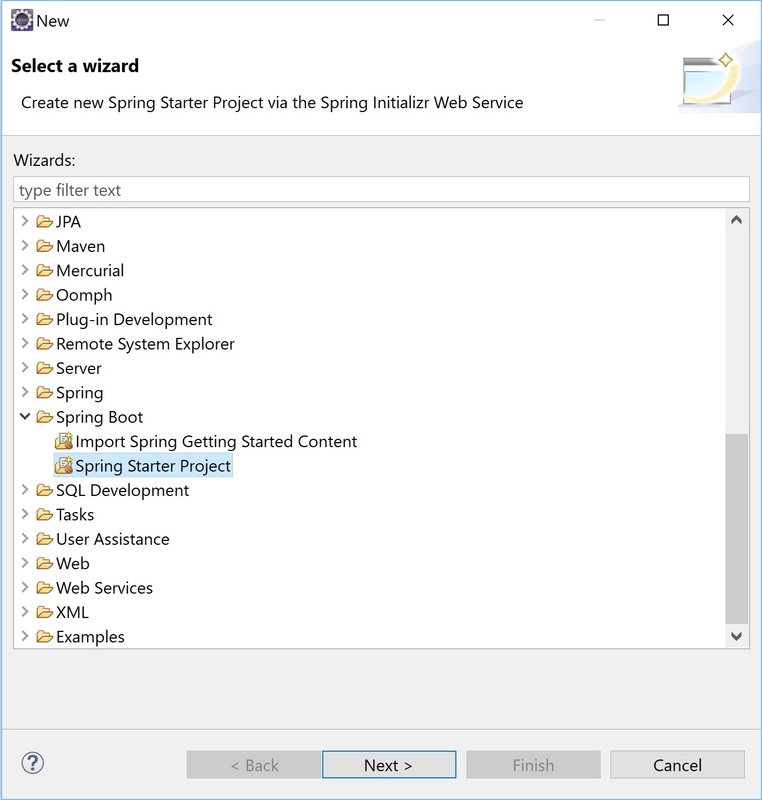 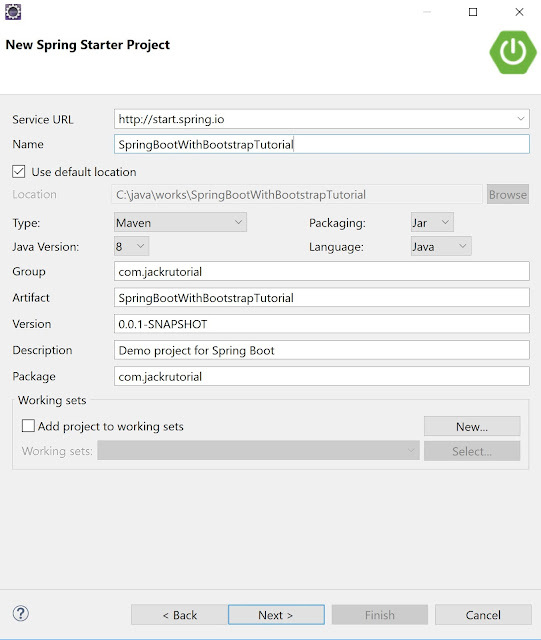 In the next step, you choose Spring Boot Version is 2.0.1 and choose the Web, then click Finish. 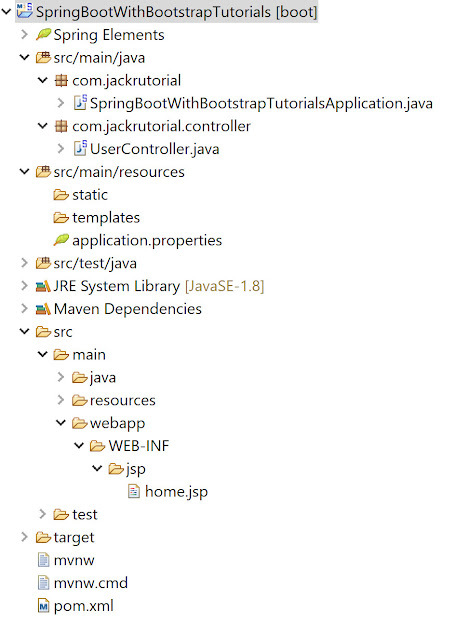 Create a UserController class under com.jackrutorial.controller package with the following contents. We configure the view resolver in application.properties file of Spring Boot Web. The updated application.properties file will have the following contents. 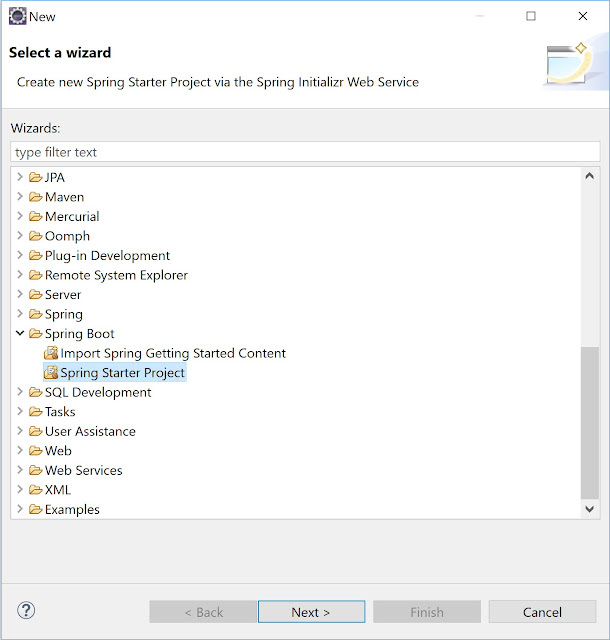 Create home.jsp file under src\main\webapp\WEB-INF\jsp\ folder and write the following contents. 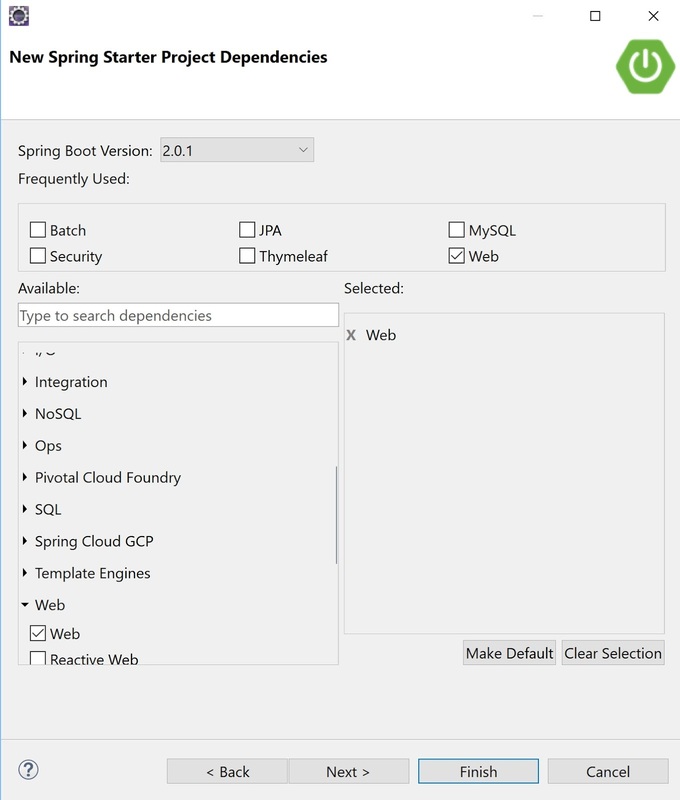 Type the following URLs in browser's address bar to open the home page.